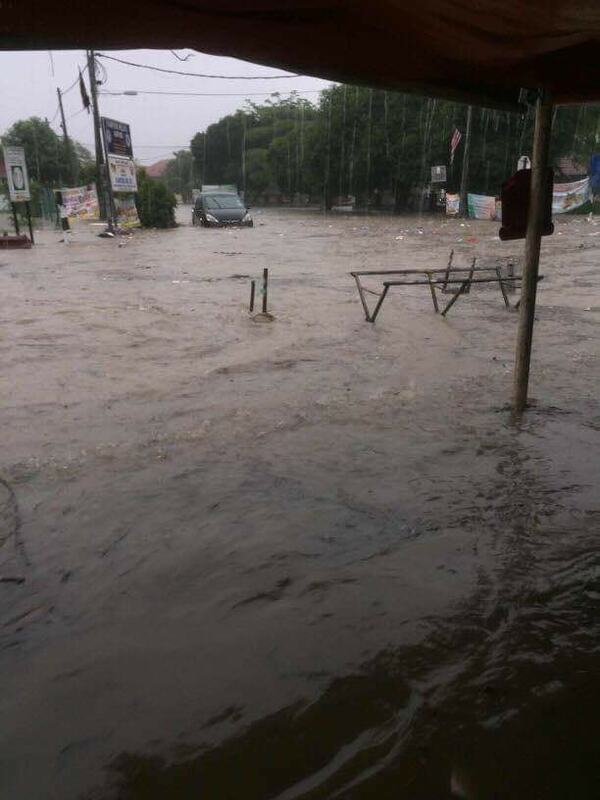 Flash floods struck several areas in KL yesterday, 11 November. 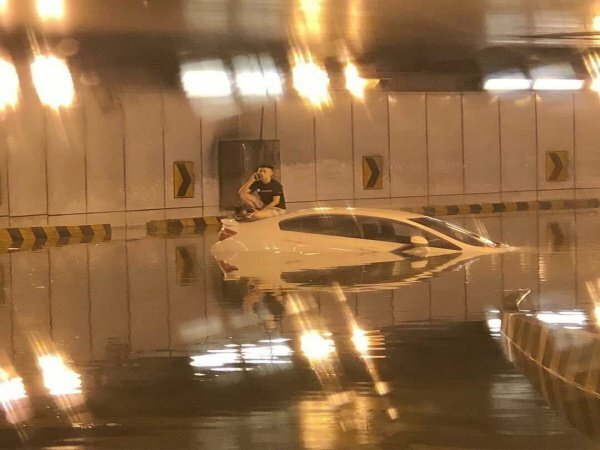 Bernama reported that 26-year-old Teh quickly escaped through his car window when he found water filling up his car as he was driving through a tunnel in Jalan Tun Razak. 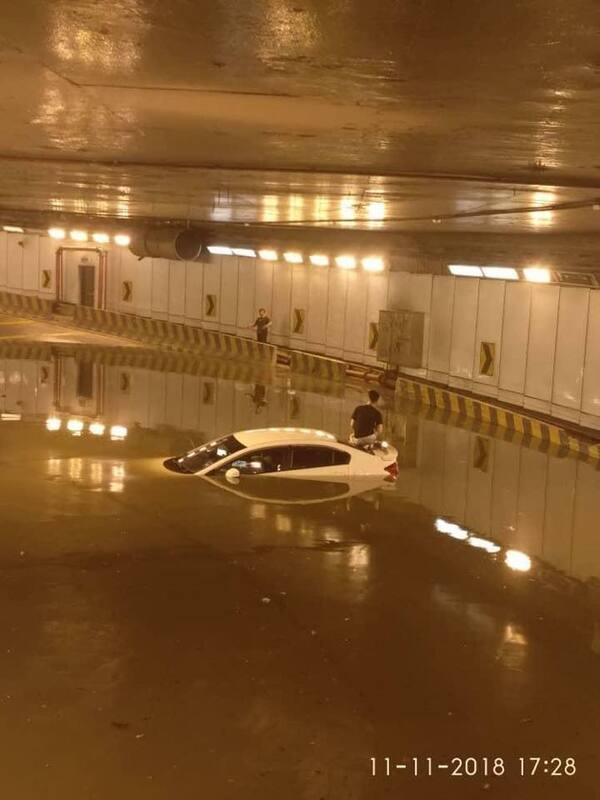 "I did not expect the trapped pool of water to be so dangerous as there was a lorry in front of me... suddenly water started seeping into my car so I quickly wound down my window and crawled out to safety," he said when contacted by the news portal. 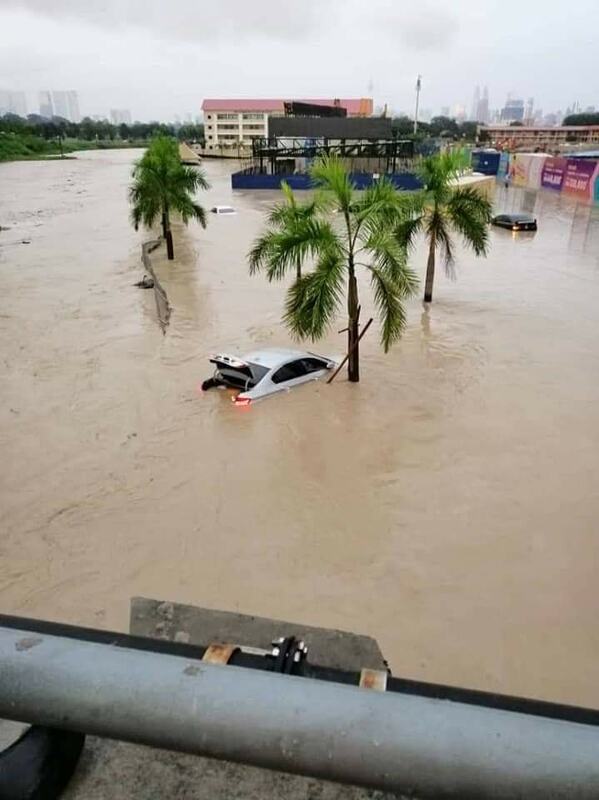 Teh's car, which was almost a year old, was severely damaged by the water, reported The Star. SMART tunnel clarified on Facebook that the incident occurred in a tunnel heading to KLCC from Jalan Tun Razak and not in SMART tunnel. The department reported that seven members with machinery arrived at the scene and found five vehicles and drivers in the tunnel. All five victims were rescued within 10 minutes and suffered no injuries. News sites initially reported that the whole incident took place in SMART tunnel. 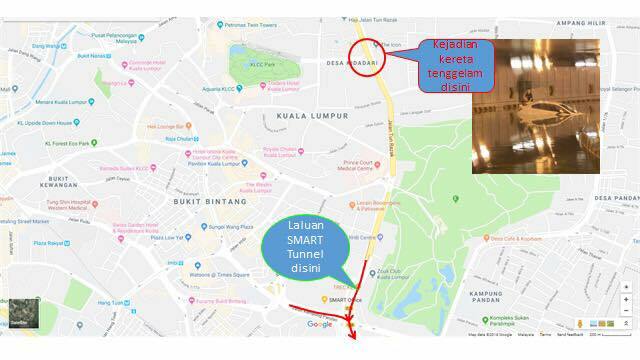 However, SMART tunnel clarified on their Facebook page that it was a different tunnel heading to KLCC from Jalan Tun Razak. 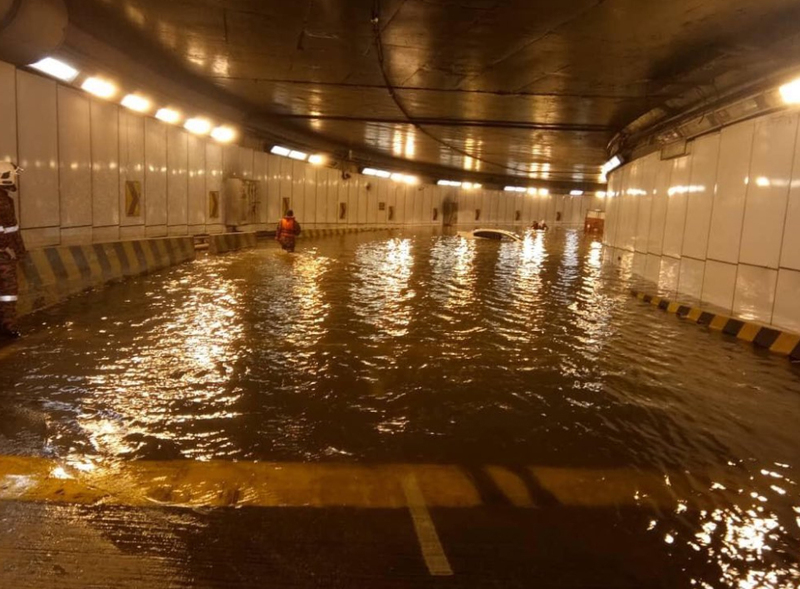 According to Bernama, Kuala Lumpur City Hall (DBKL) Enforcement Department director Azman Mahmood said that the rain, which began at about 4pm, caused water to build up in the tunnel heading from Jalan Tun Razak towards KLCC and Jalan Loke Yew. 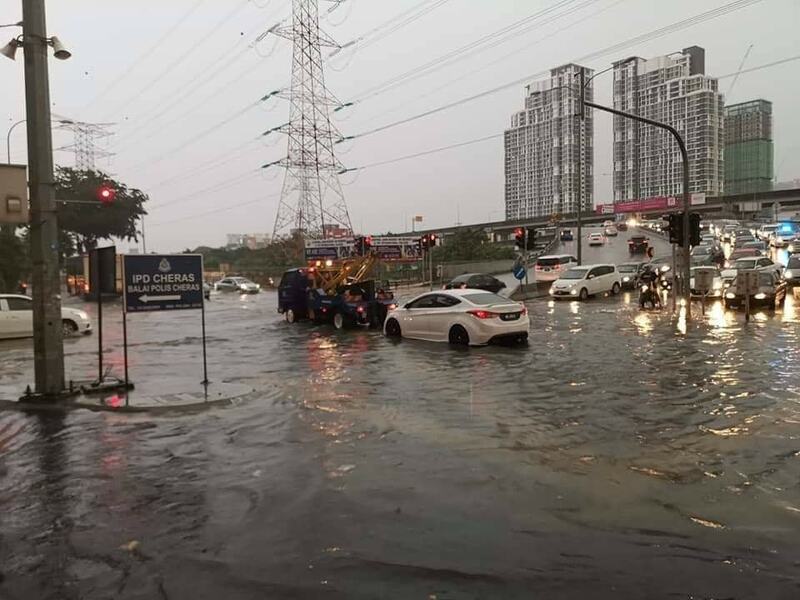 According to Azman, Jalan Wirawati, Jalan Pudu Ulu, Jalan Pudu Perdana, Jalan Cheras, and Jalan Kepong were also affected by the flash floods. The man, wearing a black hoodie, was seen threatening the woman with the parang.